The Dentistry Interface: The Tooth Hurts. It’s not surprising that people don’t like to visit the dentist. From the doctor’s point of view the user interface is your head. He sticks in a series of pointy tools such as drills and suction tubes as his controllers, and the goal of the game is not only to “save the teeth”, but also to cause the least amount of pain possible. Being a dental patient is about as much fun as being a level in Starcraft. But, over the last few decades, there’s been a revolution of sorts. Visiting the dentist has always been a about removing chronic pain in the long term by allowing for extreme discomfort in the short term. But until modern times the crude methods of “repair” meant that each operation left you a little uglier and more broken than when you entered. Every surgery gave you a fresh gap in your teeth from an extraction, or a metal filling where once there was shiny white enamel. 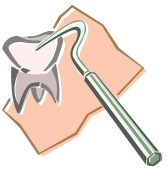 In modern dentistry the result is usually an improvement over the initial state. Starting with crowns and braces, and adding purely cosmetic elements like “professional whitening” dentistry has not only been about replacing short-term discomfort with long term improvement, it actually gives you an improved interface for eating, talking, and smiling. Maybe it’s because I’m not a kid anymore, but I hear a lot less nervousness and complaining from people about going to the dentist these days. Sure, it’s still an unpleasant experience, but it seems to have become a game where the player can actually walk out feeling like a winner.